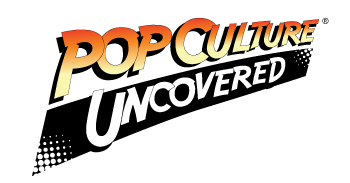 Over the past year I have gotten more into comics published by studios outside of DC and Marvel and I have to say that I am glad that I did. Out of all the other publishers, I fell in love with Valiant Comics and their huge universe of characters. One character that stood out to me the most was Bloodshot…. Bloodshot is a character that was injected with billions of nanites in his body which makes him the ultimate soldier and weapon, one that can never die. Think Wolverine but with the vendetta of the Punisher. 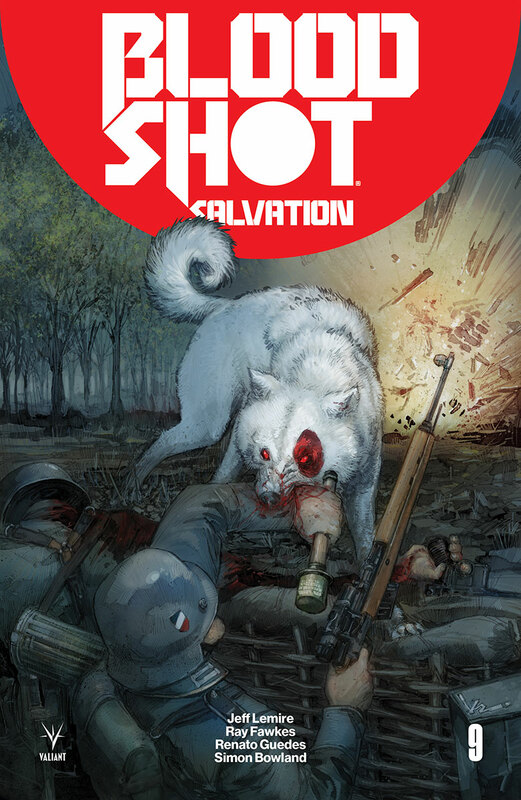 Bloodshot: Salvation #9 is all about Bloodshot’s dog Bloodhound. The story takes place in World War One where a British scientist heads to the Western Front to show the military that he has created the perfect soldier and weapon; One that can never die and will help prevent further casualties. It’s up to the Bloodhounds to take out the German defenses and help the British take a key point of the front. I love this story from Ray Fawkes and Jeff Lemire and I feel that they are the perfect people to not only tell the story of Bloodshot but to also tell a solid story about Bloodhound. Valiant is the perfect place for them and it really shows that they have a grasp on these characters. I cannot say enough about how intense and emotional the story is but also how much fun it is. This is a story about a dog that cannot die and I was invested in it the whole time. Also the action pieces are amazing as well. This brings me to the art by Renato Guedes. His work not only compliments the story but it enhances it and brings the reader in even further. I mentioned the action set pieces earlier and this is where Guedes really flexes his muscles. The action is so gritty and intense that you really get to see the horrors of war and the sacrifices made up close. Like I said, this is a story about a dog in a war and you completely buy into it.